Before checking whether your IMEI or ESN is clean it’s important to know what these terms mean and what their significance is. Today we are going to teach you how to check if your IMEI or ESN is clean, blacklisted, reported as lost or stolen – works for iPhone, Samsung, LG, HTC, Sony, ZTE, Huawei, Alcatel and other brands. Read on to know all the methods. The IMEI stands for International Mobile Equipment Identity. Effectively what it is a unique number that every single iPhone has which is used for identification of activation status to the carrier it belongs to. 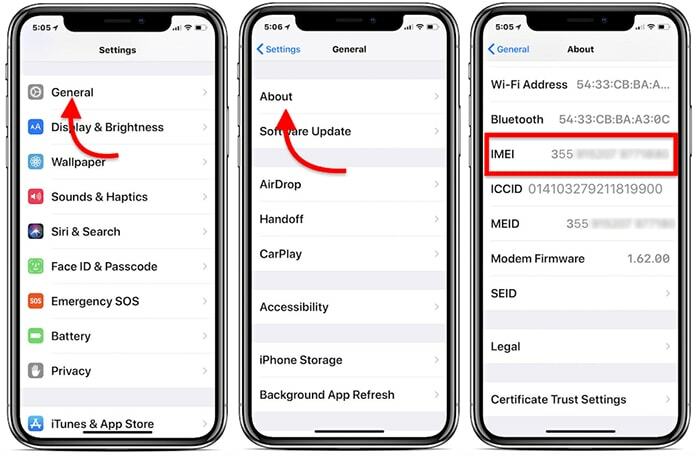 However, be aware of the fact that there is a different serial number on the device, so the IMEI number shouldn’t be confused with the actual serial number of the gadget. ESN is Electronic Serial Number and is basically just another name for the IMEI number. To check if your device has a clean ESN you will need the IMEI number. This may be confusing at first but everything will become much clearer soon. In case you misplaced your device and reported it as lost to your carrier to claim insurance but then found the device again, you will need to let your carrier know you found the phone. If you don’t it will have a bad ESN since it has been reported as lost. 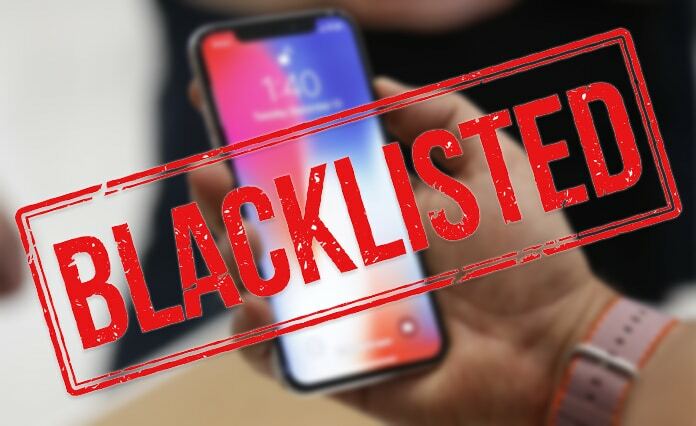 Also, it’s important to remember that if a device has a bad ESN for any of the above-mentioned reasons, then the iPhone will not be able to be activated on another customer’s carrier account. To check your IMEI just go to Settings -> General -> About and scroll down to IMEI or open the phone app and dial *#06#. iPhone 4/4S: On the SIM card tray. iPhone 5/5C/5S: On the back housing of the iPhone. iPhone 6/6+: On the back housing of the iPhone. 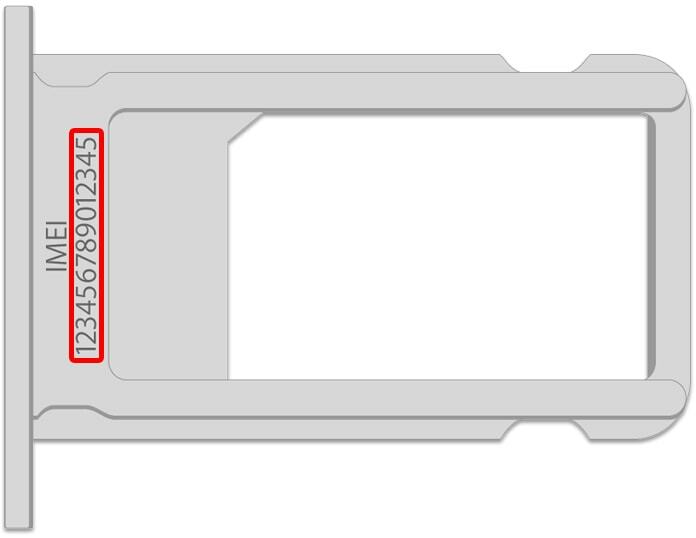 iPhone 6S/6S+: On the SIM card tray. iPhone 7/7+: On the SIM card tray. iPhone X/8/8+: On the SIM tray. Once you have the IMEI it is time to check out the ESN number on your iPhone. The page that will load next will inform you whether the device is compatible. Keep in mind that Ting is a phone carrier powered by the Sprint network. Since Sprint does not offer their own online IMEI checking service this is the way to go. In case your device doesn’t use any of these carriers there is the choice of checking your IMEI number from Swappa.com. In case your phone is from the four major carriers, use the above tools. Otherwise, Swappa is the best alternative. Alternatively, you can use our our pro IMEI checker to check the block status of your IMEI or ESN number. This is a paid service and it’s a 100% accurate. We recommend you to use this service if you plan to purchase an iPhone or another phone. The result will be delivered to your email within 1-6 hours. Always remember to check the ESN of an iPhone when you are purchasing one secondhand. 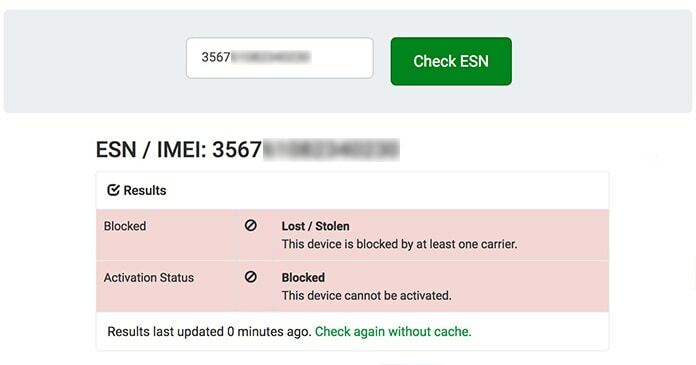 If you end up with a bad ESN iPhone the only way the problem can be resolved is if the owner calls their carrier and removes that status. So, always be careful! Let us know what you think in the comments section below.